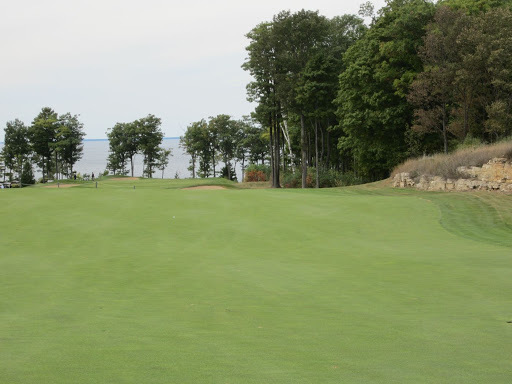 Having spoken with a handful of friends who have already played this private course in Egg Harbor, Wisconsin, I knew I was in for a treat when asked to join for a round at Horseshoe Bay Golf Club. 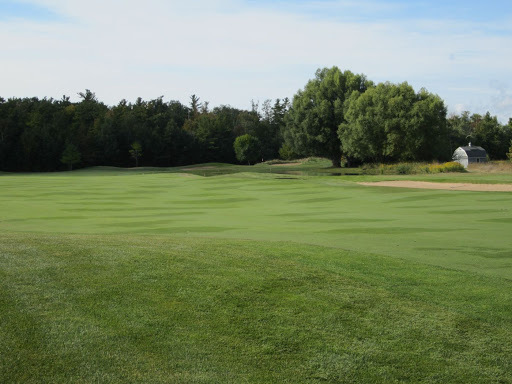 This course is everything a country club should be and much more: Fantastically manicured with gorgeous hole layouts, lightning fast [and often multi-tiered] greens and perfectly kept fairways. 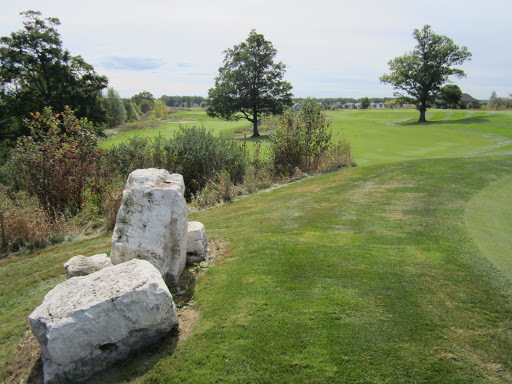 The rock ledges that abound on this course add a very cool contrast to all the trees and long grass, and the facilities are second to none. 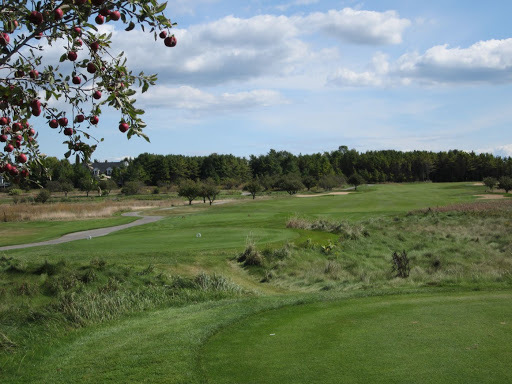 From the moment the course is visible from the road, you can tell the level of care that is put in to Horseshoe Bay. 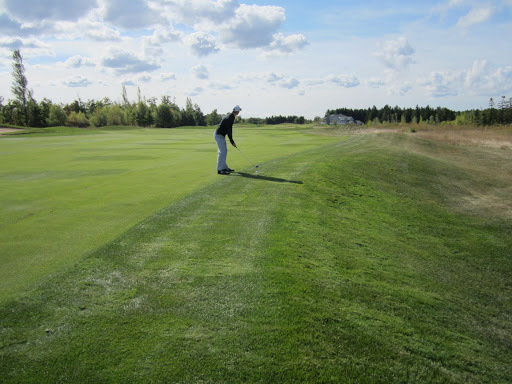 The staff is extremely accommodating, and they have fantastic practice areas including a large driving range, practice green and sand traps. 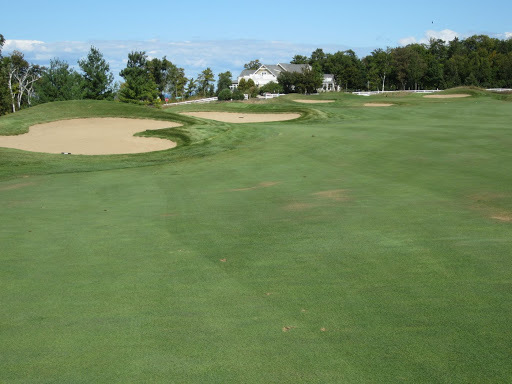 The clubhouse is modern and luxurious, and even the cart path driving areas are well maintained and interesting – the kind of statement you would have to observe to fully appreciate. 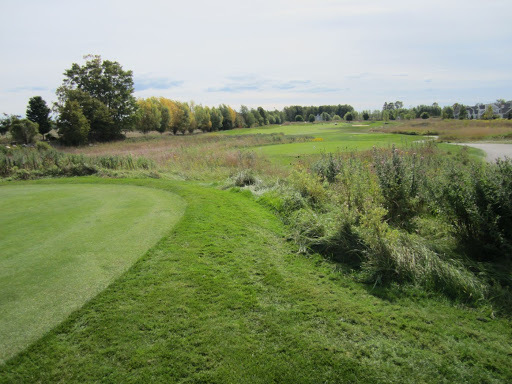 Water only comes in to play on three holes at Horseshoe Bay, but its troon design makes for narrow fairways and little room for error, with deep, interloping fescue coming in to play on almost every shot. The thirteenth and eighteenth holes are instant classics for me. 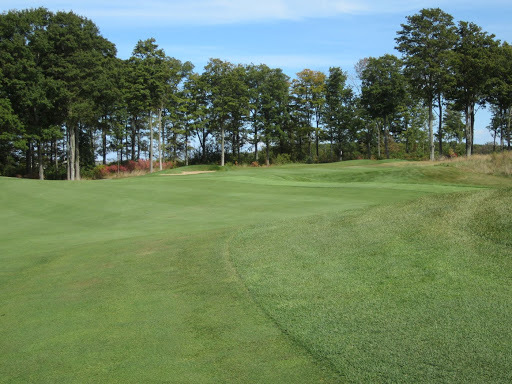 The thirteenth is a long par five that splits into three separate fairways (upper, middle and lower) split by two huge oak trees that come in to play on the second shot. 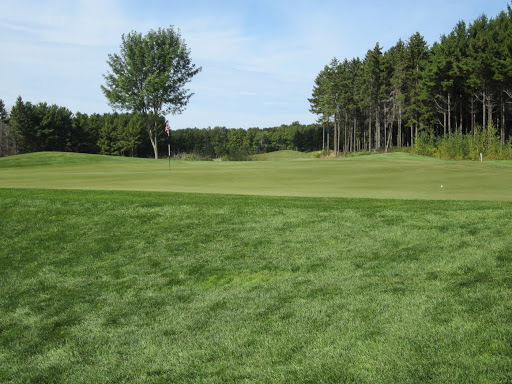 The green is small and sharply tilted from the back to the front – not an easy target raised well above the two bottom fairways. 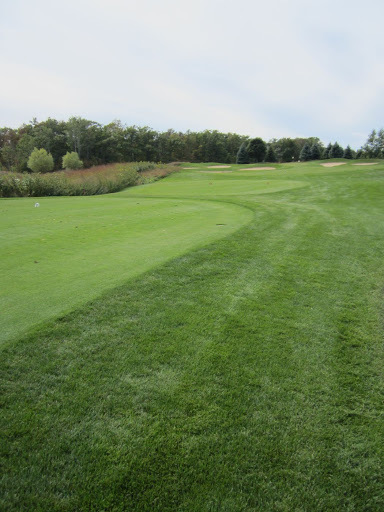 The upper fairway should leave the easiest approach shot. The eighteenth is a breathtaking finishing hole that starts with a long tee shot, then goes straight right and eventually downhill. 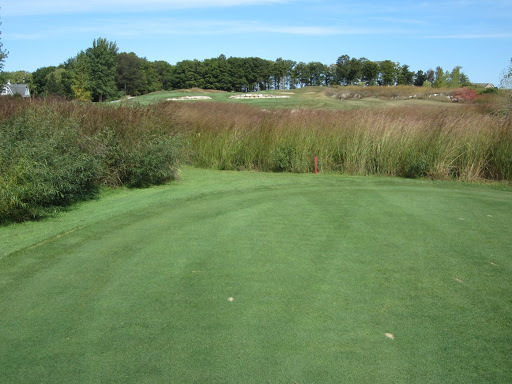 The approach is fairly narrow, and ends in front of the lake and to the right of the clubhouse. At 549 yards from the blue tees, this is a tumultuous par five with a long rock wall lining the right side of the fairway. 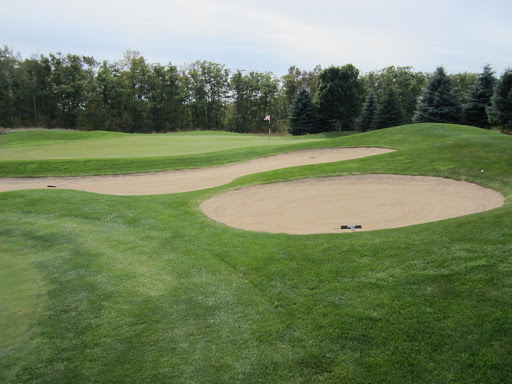 The fairway bunkers come in to play on the drive, and more do on the approach surrounding the green. Aim right of the American flag on your tee shot to cut off some of the yardage. Among my other favorite holes at Horseshoe Bay Golf Club is the par four sixth. The tee shot is fairly narrow, with a large rock wall (which I hit head-on in the video below) facing the tee boxes left of the fairway. One of the most intriguing shots on the course is on the 11th. Having never played here before, and not having any idea where the hole goes, the tee shot is completely blind and uphill. 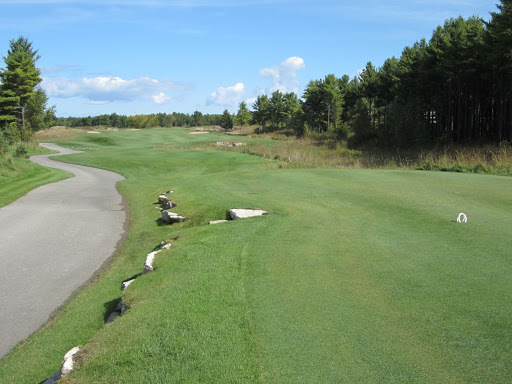 With an abundance of rock ledges and sand traps in clear view, it is intimidating to say the least. Avoid going right or left, and you should be able to hit the ball as long as you can – yes, that was my idea of a joke. 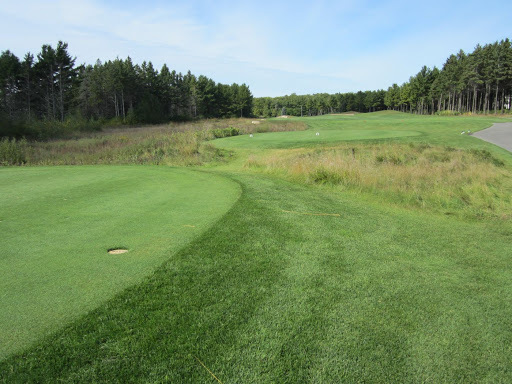 When you finally get to the top of the hill, you can see that the fairway goes to the right and further uphill: Information that would have been nice to know earlier! One of the only holes on the course with water, the second hole leaves a long approach over a pond and running brook on the right. 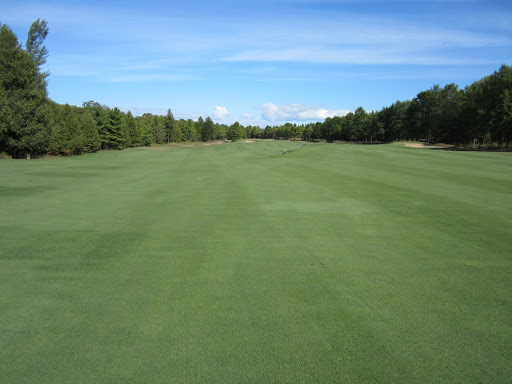 There is a slight bailout on the right side of the fairway for your drive, but it will leave a tough shot to the left of some tall trees. 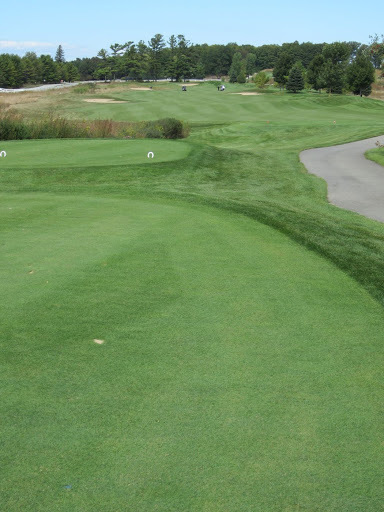 Stay left in the fairway and leave yourself a chance on the approach. The third hole at Horseshoe Bay is a short par three over water. 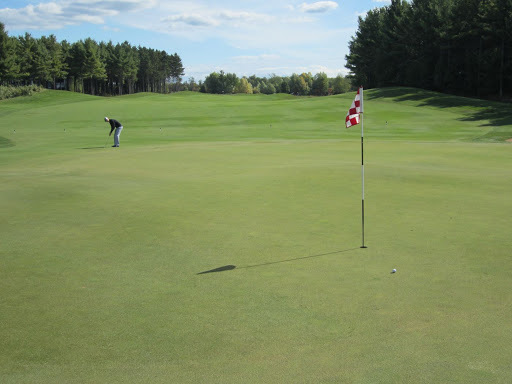 From only 162 yards, the area is wide open which means the wind must be accounted for. Stay left if anywhere to avoid the water or the stream that continues on the right side of the green beyond the large pond. 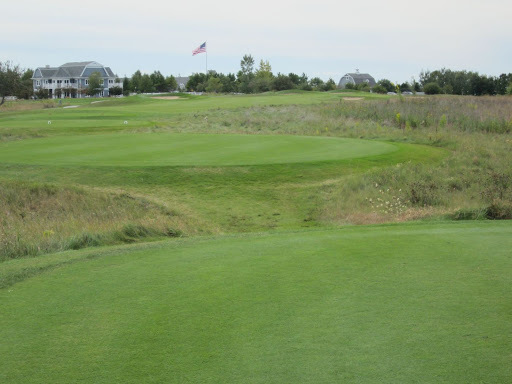 Appropriately named “The Ledges,” the eighth hole features another awe-striking layout with a fairway that splits half-way through this par five. 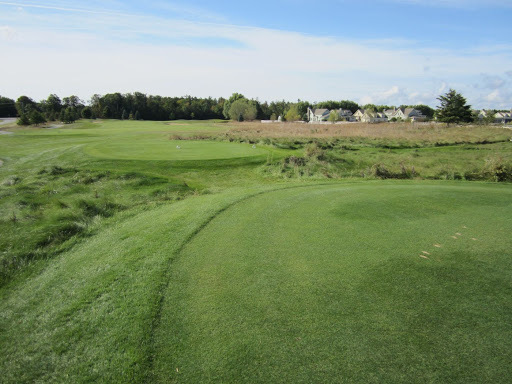 The large ledges in the middle of the fairway give a perfect target for your drive, and then it’s all about keeping the ball straight… and long. 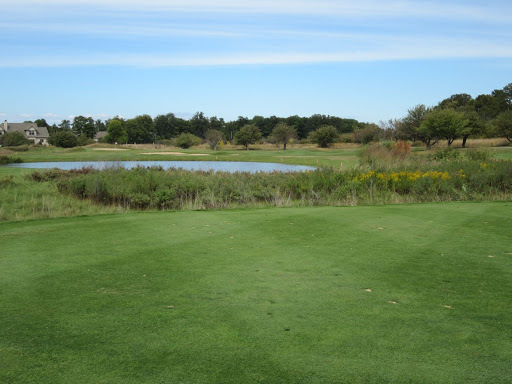 The most comparable course I have played to Horseshoe Bay is probably ThunderHawk, which is another of my top ten all-time favorite tracks. After finishing the 18th hole, it was discussed where this course fits in my all-time favorites. 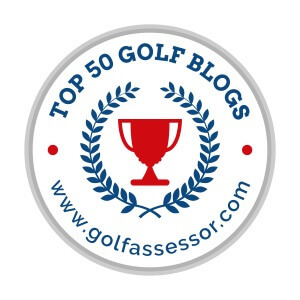 It is certainly in the top ten, but how high does it rate? 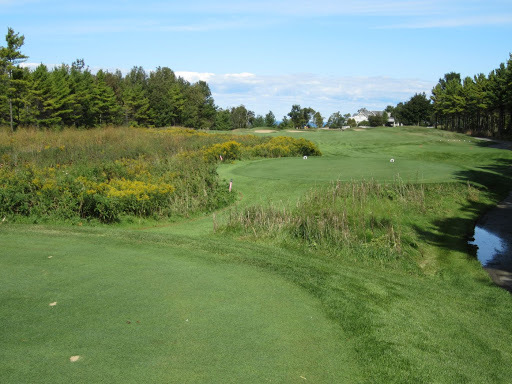 I definitely put it ahead of both Lawsonia courses, as well as University Ridge and The Bull. 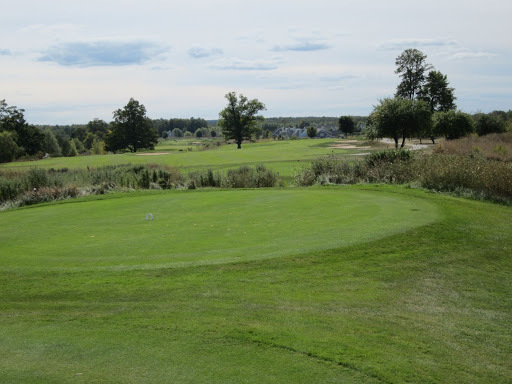 Where it stops matching up against my top courses is Wild Rock. The shear beauty of Wild Rock, and the memorability of that course keeps it slightly ahead of Horseshoe Bay, leaving it as my number seven favorite course I have ever played.